The son of a bongo player, Victor grew up performing in Bembés (street percussion performances). In 1972, he joined the Freddie Melendez Group, a Puerto Rican música jíbara (folk music) quartet. Victor has performed with salsa bands in Albuquerque for the last 20 years and in 1992 was invited to perform with world renowned cuatro player Yomo Toro. 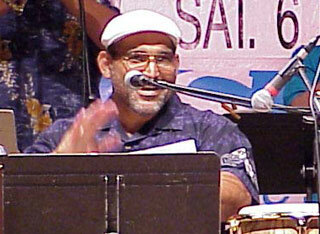 In addition, Victor was a founder of Salsa Suite and in 1994 formed Tá-Bení.